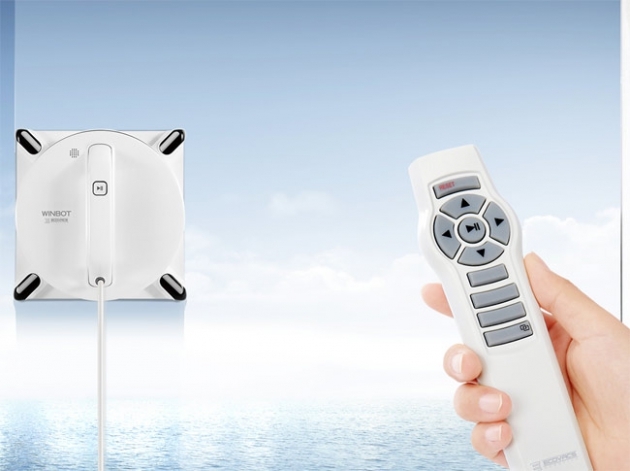 Winbot W950 window cleaner from Ecovacs buy online now! 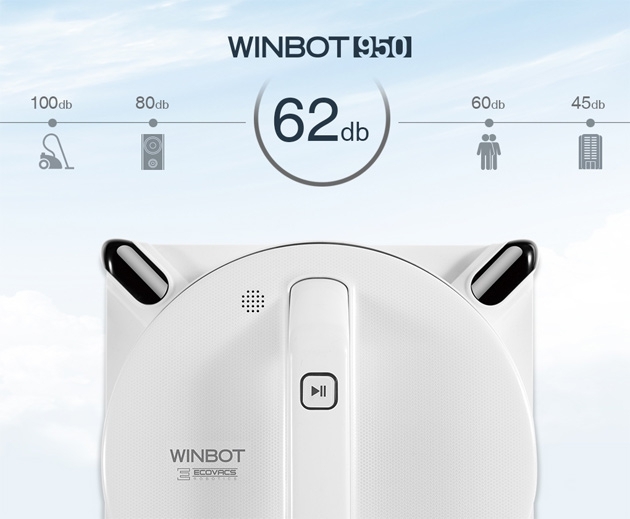 Winbot W950 - Window cle . . . Systematic Cleaning system, Cleans Framed and Frameless Windows, 4-Stage Cleaning System, Smart Drive Technology. The new Winbot W950 window cleaning robot from Ecovacs. The W950 works like the W850 with the air suction technology and not like its predecessor with the vacuum technology. The W950 is now also officially cleaning roofing and winter gardens. Visually, the W950 has improved again. The new Winbot is very high quality and noble in the processing. Its high-gloss design also convinces demanding customers. Visually, the W950 has succeeded and is very modern. Unlike its predecessors, the new W950 is now also officially suitable for sloping roofs and winter gardens. We have tested the function. They have proved themselves In the following video. The W950 is clogged with air on the window pane. This technique is less susceptible than the vacuum technology of the W930. With the new air technology, the W950 can also drive over joints and ribbed discs. 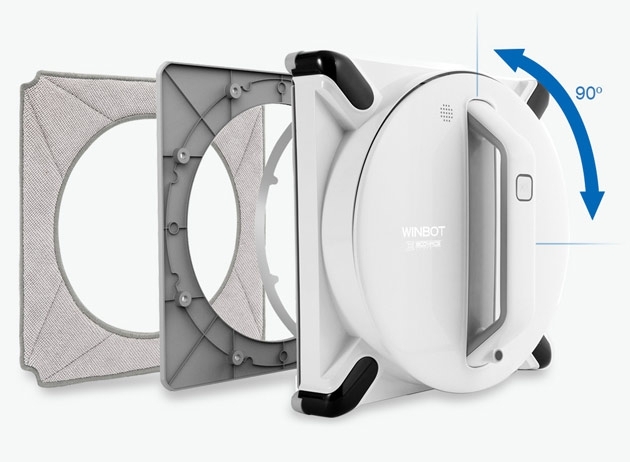 The Winbot can also clean tiles, shower screens and mirrors. The Winbot W950 has a movable center section. This allows the Winbot to move on the disc without rotating too much. This creates little streaks and streaks on the window pane. You can test the Winbot W950, 14 days on your disk. We give on all our robots 2 years warranty and free household Robotic Support. If you have any questions or problems, please do not hesitate to contact the Robotic Team personally, by phone or by e-mail.